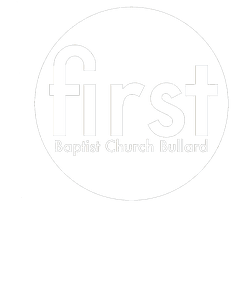 At FBC Bullard we believe that Worship matters. It matters to God because He is the one ultimately worthy of all worship. It matters to us because worshiping God is the reason for which we were created. And it matters to every Worship leader, because we have no greater privilege than leading others to encounter the greatness of God. Although music and other arts are tools we use to Worship God, we believe Worship is not a “musical style”. It is a life style. It isn’t something we do only within the walls of our facility, but it is something we do with our lives. Worship is ongoing within us, the Temples He created to dwell within. We provide a number of opportunities for people of all ages and from all walks of life to use the gifts God has given them. In using those gifts we see every day how God takes those gifts and inspires them to grow into something none of us can take credit for ourselves. You will hear often here that it is “For the glory of God alone”. That is the motive behind everything we do. Copyright 2019, First Baptist Church of Bullard. All Rights Reserved.